The analog output is fed through a 12-bit ADC with the final output going through the mikroBUS™ SPI interface. The supplied firmware (available on Libstock) automatically scans the ADC value and switches the multiplexer output based on the resistor in place. 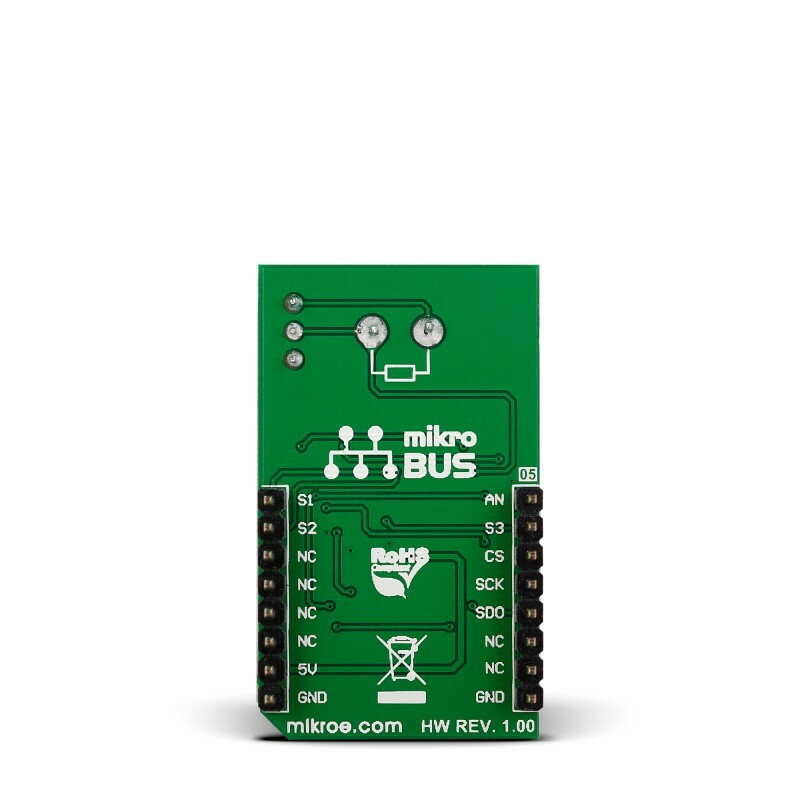 The multiplexer interfaces directly with the target board MCU through mikroBUS™ S1, S2, and S3 pins (in place of default mikroBUS™ PWM, INT and RST). Onboard screw terminals are placed to allow the click to be used with multimeter probes. 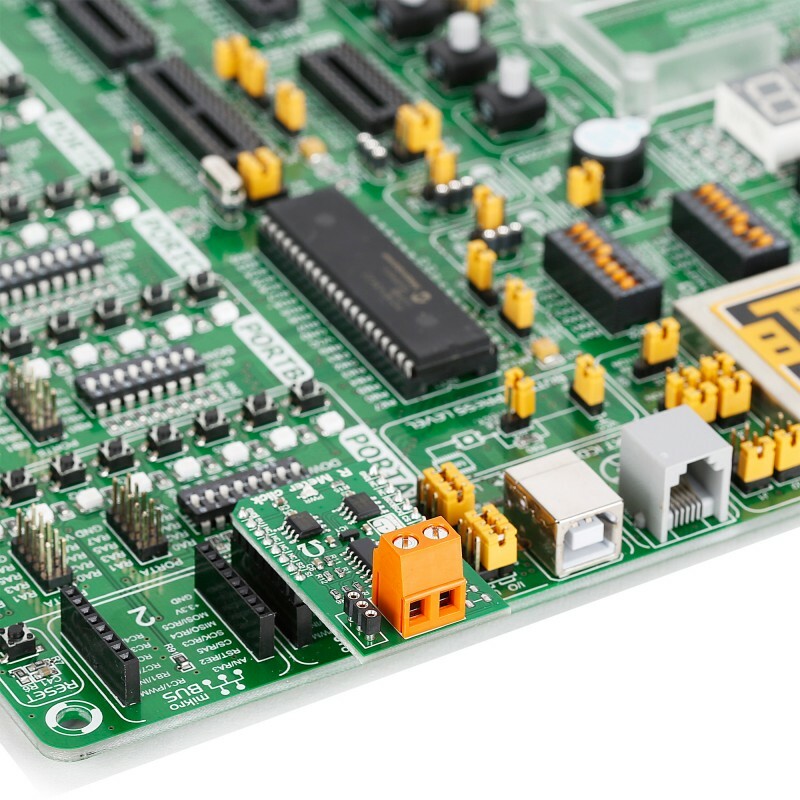 The board is designed to use a 5V power supply. 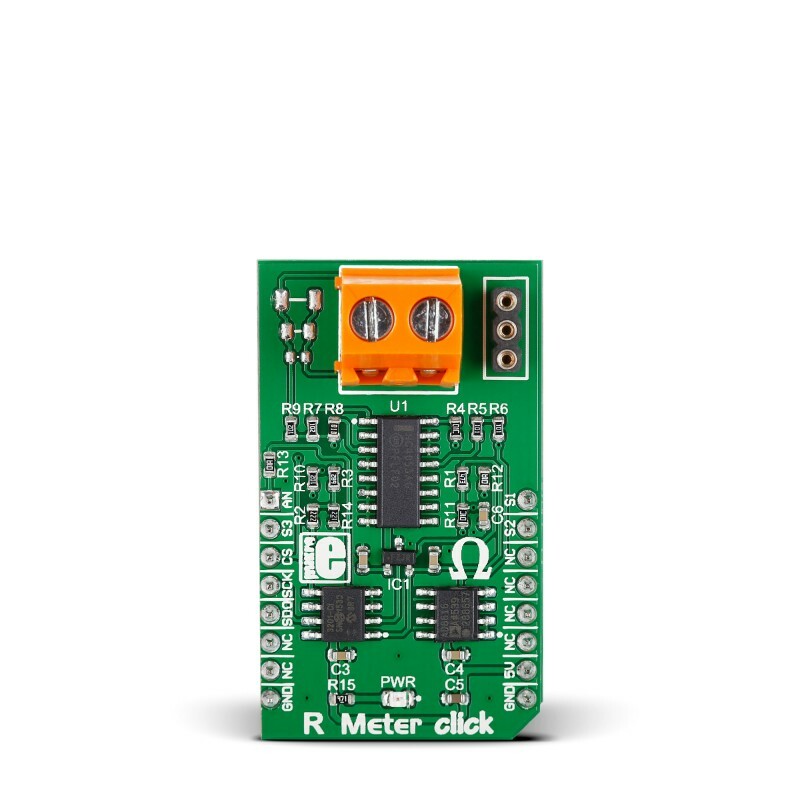 R Meter click is a mikroBUS™ add-on board with circuitry for measuring the value of resistors. 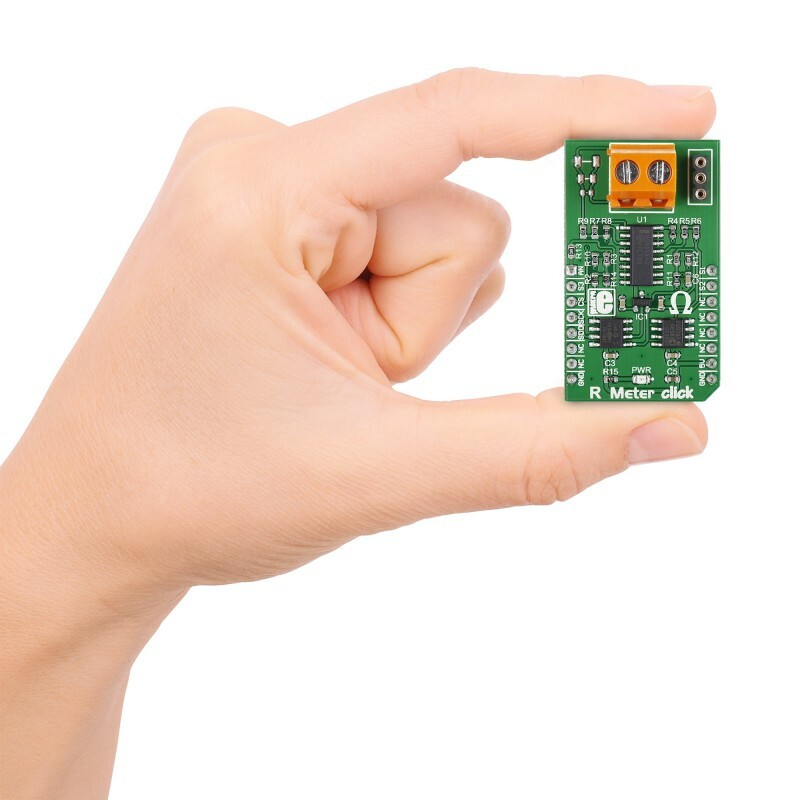 The board can be used to measure a wide range of resistors (from 0 to 1 Mega Ohm). It has three plates for SMD resistors (0603, 0805, 1206) and a header for thru hole resistors. R Meter click is a handy tool but it’s not to be used as a precision instrument. The linearity of the OpAmp impacts the measurement. This example shows how to set up R Meter click, and read out the resistance in ohms (Ω) every 250 ms.
Code examples that demonstrate the usage of R Meter click with MikroElektronika hardware, written for mikroC for ARM, AVR, dsPIC, FT90x, PIC and PIC32 are available on Libstock.